The weather here in the midwest can be so finicky. One day it’s warm, then it’s freezing (like today)…brrrr. But the reality is, those warmer days are getting fewer and fewer and pretty soon there will be snow on the ground. Whether I like it or not, winter is here. With it comes rosy cheeks and dry, chapped skin. It’s pretty easy to find recipes for dry skin. There are so many amazing body butter and body salve recipes right here on Scratch Mommy (and Jess’s Body Butters are UhMaaaZing). But what about nourishing your scalp? 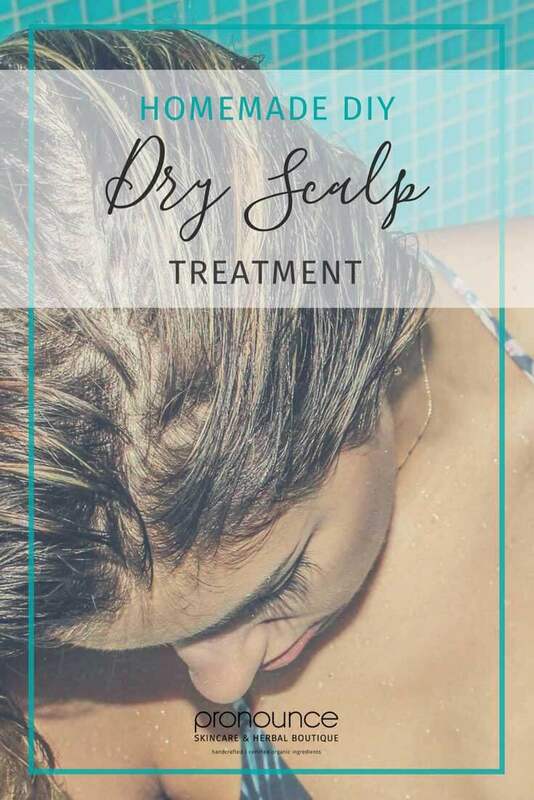 Learn how to do a dry scalp treatment at home! Unfortunately, the skin on your scalp can suffer much like the rest of your body during the colder months. All the sudden your scalp is dry, flaky, itchy, and driving your crazy! So what can you do about it? You might be tempted to grab that bottle of (toxic) shampoo off of the store shelf that promises to fix all of your problems. But these shampoos have a lot of yucky ingredients with some nasty side effects. Deep treating your dry scalp with a moisturizing mask several times a week can do wonders this time of year. All you need is a few ingredients to rub into your scalp, leave on for a bit, and then wash out. This is great to do before you take a shower. So what do you need to do a deep moisturizing and nourishing dry scalp treatment? Tea Tree – We have loads of recipes here in Pronounce and there are about a gazillion recipes on our sister site, Scratch Mommy, that use Tea Tree (it’s a staple oil to keep around). Cedarwood – A favorite oil of Scratch Mommy founder, Jess, cedarwood essential oil is steam distilled from wood and has a gorgeous Earthy scent. Lavender – Another staple oil to keep around, you’ll find lavender in many DIY recipes on our sister site, Scratch Mommy. Geranium – Geranium is a powerful wound healer, with heavy, sweet, floral aromas. Patchouli – Patchouli is more than just a scent for hippies (…this is what Scratch Mommy founder, Jess, wears everyday). It has antiseptic, astringent, and fungicide properties…the perfect addition for a dry scalp treatment! 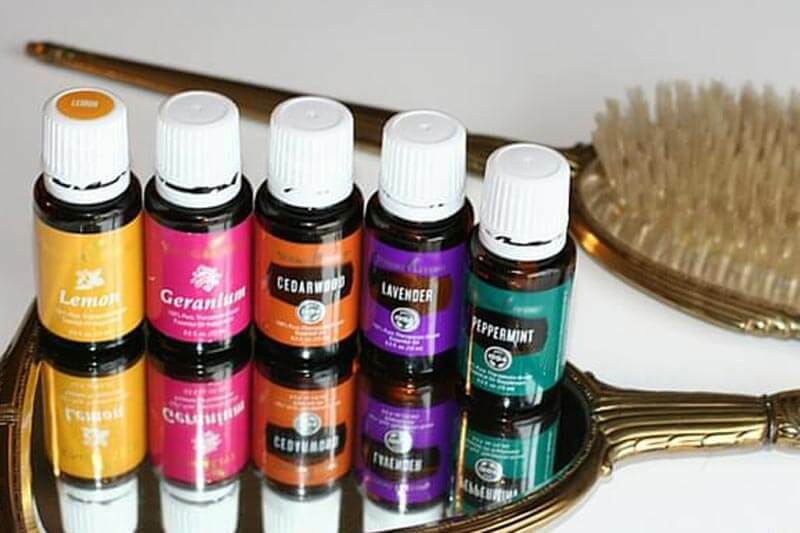 You will need to dilute your essential oils with a carrier oil. Some good choices would be coconut oil, jojoba oil, borage oil, or evening primrose oil. 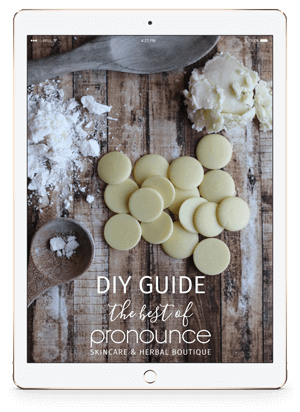 **You have got to check out this highly informative post on Pronounce Skincare that explains various carrier oils and how to choose the perfect one. After using this nourishing mask, wash it out with a natural shampoo, if possible. This PH Balanced Shampoo Recipe is a great option. Gently mix your carrier oil and essential oils. Massage enough mixture into scalp to cover. Wash out with a gentle shampoo. We love any EO company that uses sustainably & ethically sourced plants, oils are organic or wildcrafted, and proudly declares fair-trade certification. Jess loves Mountain Rose Herbs, highlighted throughout the site and in this post…check them out! Whenever you are trying new essential oils, it is best to do a patch test first. Just mix one drop of the essential oil with a teaspoon of carrier oil and place a drop on the inside of your elbow or arm. Watch for 24 hours to ensure there is no reaction. The dilution ratios given for the recipes here are recommended for healthy adults. Peppermint and rosemary essential oils should be avoided in small children. Here’s to moisturized, healthy scalps this winter! Don’t want an itchy scalp? 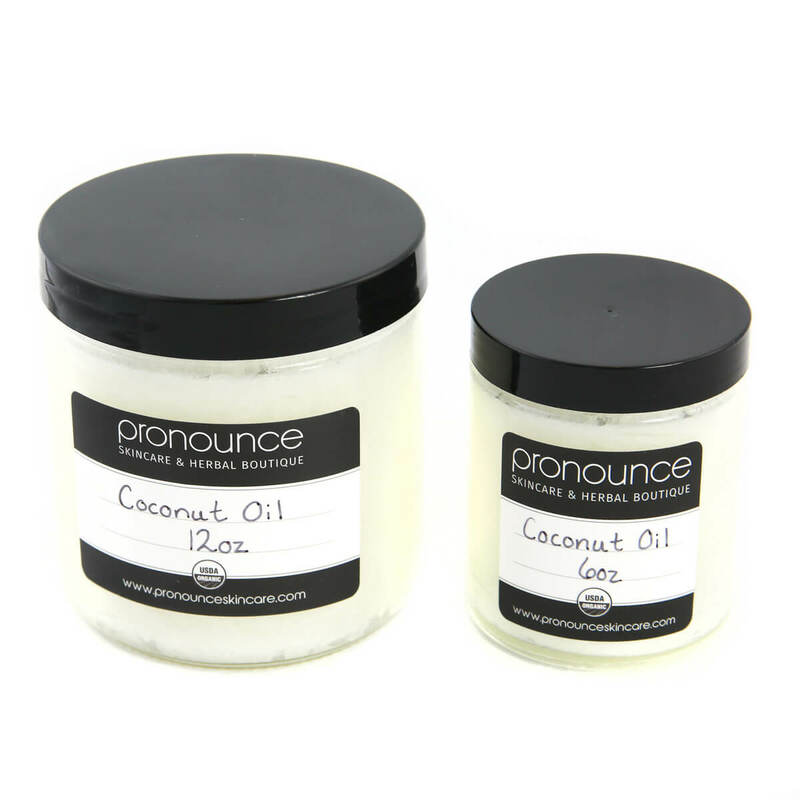 Please, head on over to Pronounce Skincare Shop where Jess sells some of the ingredients you will need to make a scalp treatment. While you are there, please look around at all of the other skincare creations. Jess loves making them for her family and for you!